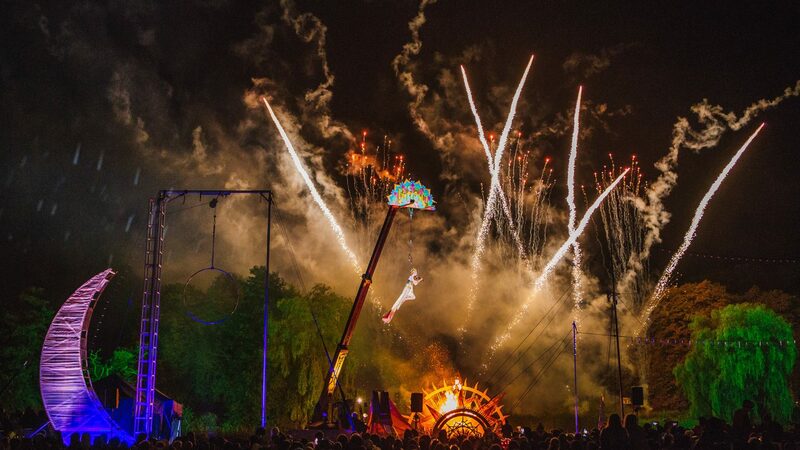 Wow – we weren’t expecting to be writing this in January but we can confirm that all regular adult tickets for Shambala 2019 have now been snapped up – but fear not, there are still coach and cyclist packages available. REMEMBER: COACH PACKAGES ARE ONLY VALID FOR ENTRY IF YOU ARRIVE AT SHAMBALA ON THE COACH – SIMILARLY, CYCLIST TICKETS ARE ONLY VALID FOR ENTRY IF YOU TAKE PART IN A RED FOX GUIDED BIKE RIDE TO SHAMBALA. Please do not purchase either of these tickets if you are planning to arrive in a different way – as you will be disappointed. BOOK YOUR COACH PACKAGES OR CYCLIST TICKETS HERE. Return coaches are available from Bristol, Brighton, London, Birmingham, Manchester and Sheffield. All coaches and coach tickets are for departures on the Thursday of the event. All tickets include return travel on the Monday after the show. If you purchase a coach package, please read this information carefully as it is your responsibility to comply with terms of Shambala Express travel and be on time for your departures. WHY CHOOSE A COACH PACKAGE? They’re cheaper than regular tickets! We subsidise all coach tickets as part of our green travel plan and there are no booking fees on coach tickets. New dedicated fast-track wristbanding and entry coaches only entrance. Start the festival when you step on board, with the Shambala quiz (yes, there are prizes), festival soundtrack, and freebies! We’ve again partnered with Red Fox Cycling, to offer guided bike rides from different cities to Shambala. Cycle from Bristol, London or Sheffield to the festival! Our dedicated Cyclist tickets are only for folks who cycle with Red Fox – we don’t currently offer separate Cyclist tickets for those cycling independently. All routes have been tried and tested – they are scenic, safe and frequently off road. Riders will be accompanied by a support van which will carry everything that you don’t want to! The folks at Red Fox Cycling have handpicked campsites for our riders to lay their weary heads, on route. The cost of your tent pitch is included in your package. You can either bring your own tent along in the support van, put it up and take it down yourself, or for an extra fee, the Red Fox Cycling team can sort you a ‘comfy upgrade’ where they will pre-pitch one of their tents for you with an air-mat and travel pillow. The Red Fox team have your breakfast and lunch covered – you’ll either be booked in for pub lunches/meals on the way, or the team will rustle you up some tasty grub from the support van – complete with tables and chairs for an alfresco meal. They’ll also sort out snack breaks along the way. Dinner is up to you, but the Red Fox team have suggestions for local food options close to each campsite. Both rides are set to arrive at Shambala on Thursday, early afternoon. You’ll also get a free programme on arrival, a discount on massages for those weary bike muscles, and secure bike storage. Don’t worry, nobody expects you to cycle back from the festival too! You’ve already proved that you are absolute warriors, so for gods sake put your feet up! If you’ve got pals at the festival with room in their vehicle for your bike, feel free to jump in with them, but Red Fox will also be offering a return journey in a coach, back to Bristol Temple Meads or Willesden Junction station for an additional £15 – your trusty bikes will be transferred back in the support van at the same time. If you’ve still got your stabilisers on, this probably ain’t for you – however, it’s hardly the Tour De France, either. The Red Fox team have tried the routes themselves and have deemed them both ‘moderate’. You are looking at covering about 45 miles a day (with snack stops and rest breaks, naturally) so please take this into account when deciding if this is for you – if you’ve never cycled very far before, have a good old think about whether you’d manage – and perhaps do a bit of training. Although all tickets are to be bought on the Shambala ticket page please note that these tours are provided by an independent third party Red Fox. Please see there website for more information and full terms & conditions, and direct any questions to admin@redfoxcycling.co.uk. More info on all Red Fox’s packages can be found here. Thank you to everybody who has booked to join us this August, we can’t wait to see you.